Owner and inventor of Image Scent LLC. 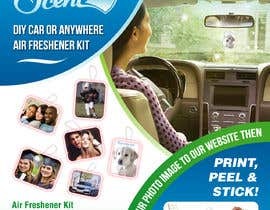 The first patented and only, DIY Photo-realistic custom car Air Freshener kit. I'm going to try to give you a brief explanation of my product. The kit consists of three presented air freshener pads, one Sheet of specially coated peel and stick photo paper, three hanging strings and three packets. In a nutshell, Anything! 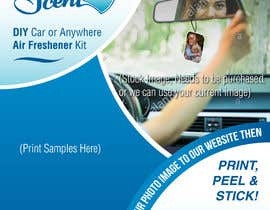 You can print with any home inkjet printer can be your own custom car or anywhere air freshener. 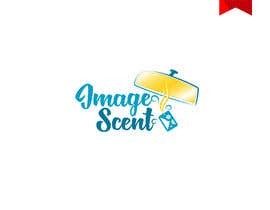 Test marketing shows customers have made them for school lockers and gifts, to auto detailers, who take a picture of the customer's car stick it on one side and their logo on the other in a matter of minutes. When the customer arrives to pick up their car, they give it to them as a one of a kind gift. You can make them for anything you can think of. You are only limited by your imagination. 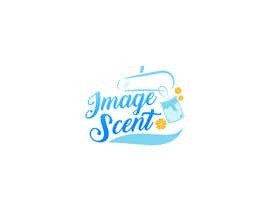 We want to launch Image Scent in 2019. We do have a company logo and cover art for the product packaging. I created the current logo and the cover art. I do like it because it is the first logo that helps people quickly figure out just what the product is. And the cover art displays what a finished product looks like and examples of what can be done. But I'm not a graphic artist and want to see what one can do to with it. We need a new logo or current logo tweaked along with product cover art. 8.5 X 11cover. Something pleasing to the eye that reflects what the product is. I uploaded the current logo and cover for your review. We would like a rearview mirror and air freshener incorporated. What do you all think? There doesn't seem to be any file attachment available. Can you please provide the design concepts you've come up with? Thanks.